Previous: Do You Read Drug War Chronicle? Until we stand up and take our government back there is no point in even trying, once we get far enough into the debate the Federal Government will just come in and strong arm us some more. How much has to happen before we get sick enough of it that the soldiers, police and public workers stop obeying unjust orders and help the people they all fight to protect take back our government from those who wish to see the class groupings in this country be Really Rich and Really Poor with no middle class. FIGHT BACK, WAKE UP PLEASE. Why the hell does 51% of the population get to tell everyone else how to live? Actually 46% in favor is a flipping miracle considering that the average American seems to think that "legalization" will result in the people being forced to allow the sales reps from the heroin factory to set up promotional displays and hand out free samples in the lobbies of our elementary school. Yes, yes, I am exaggerating. Isn't that called poetic license? But I've never yet met or read an opinion from a Know Nothing prohibitionist that didn't pre-suppose what the model of legalization would look like with their objections based on their personal bias of what would be included, mostly negatives from the drinking alcohol and tobacco retail distribution chains and without acknowledging that those industries were established before there was any awareness of potential hazards. The cannabis and other drugs on the naughty list have no one and no companies with any legitimate claim to worry about potential financial losses, no legitamite work force that could be hurt and produce no revenue for governments so it's beyond absurd to argue that re-legalization would look like this or work like that. This particular subject is tabula rasa as far as government regulations and potential laws are concerned. We can make the market look like whatever we want. It does seem the majority of people want the market to be run by organized criminal syndicates which see a satchel of disarticulated human heads as a valid messaging system. It must be what they want, because they styart squealing like stuck pigs when they hear people suggest something different might work better. Democracy - And it doesn't tell you what to do,, only what you CAN do. We should slim down our goals on Legalizing. 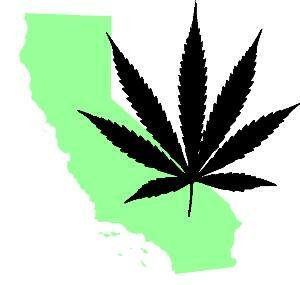 The only successful legalization initiative has been Prop 15. The two that failed are called Prop 19 ( 1976 & 2010 ). The one that passed avoided Commerce language and aimed at rights for Californians. The two that failed allowed for Commerce with the 1976 prop 19 coming at a time hippies were not welcomed in the areas they had established a counter culture presence. So let us all forget any Commerce language and focus on the basic advance of allowing the California citizen the right to grow, practice proper horticulture with cannabis and the ability to share with other California citizens in non-commercial ways (seeds,plants and produce). We in California cannot agree to allow public drug dealing however we should give our Citizens a choice in the war on drugs. We can offer a way to fight "drug profits" that fuel gangs and cross boarder profits by allowing these freedoms. If we invoke a horticulture permit system then the State could garner revenue as well and that would allow our law enforcement the tool to police legal and illegal grows. Until we can present this as a Conservative issue Cannabis legalization has no chance. So I repeat.. Drop the Commerce language and focus on freedom for the people. This is where we all should be united. Why is support down? Anyone have any idea? Alcohol is still as big a killer as ever, and cannabis is still far, far safer. Nothing has changed about either of those fundamental points. And the old folks who are hopelessly prejudiced against weed are still dying off. And our public finances are still in ruins. And the slaughter in Mexico is still going strong, if a little reduced from last year. Anyone have a clue about what's going on? I don't. Just a rejuvenation of America's mean streak due to the bad economy (people saying I'm suffering so you should too)? "And the old folks who are hopelessly prejudiced against weed are still dying off." I don't know where this meme of seniors being prohibitionists is coming from but it is NOT true. There are prohibitionists in every age group, and legalizers, too. I'm in my mid 60s and all my friends of this age and older support legalization, even my 93 yo cousin and her friends. And have you checked the stats on the number of seniors who are MMJ patients, lately? Stop generalizing about age groups and start looking at the REAL picture. I should have used more precise language. Older voters are more likely to oppose weed than younger voters, and as a group they have been a big obstacle for us, I don't think there's any getting around that reality. 51% are wrong. 51% are not your God. Conservatism will die off, it's not an ideology, it's for weak minded idiot psychopaths. No one--not an individual or a group of tackleberry thugs--have the right to deny you what has been given to you by God. Only cowards are afraid of a plant. How weak must a person or a government be to be afraid of a natural occuring plant that you need to create legislation to deny it for everyone else, just because you're scared? Don't listen to such people!...Those people are child-like idiots! And sometimes it retreats. (it's not a perfect metaphor because you have to imagine that the sea is slowly taking up the land). The people who are undecided are swayed back and forth to a large degree based on what seems "new" and "fresh" and "progressive". Unfortunately, some of the time the legalization meme gets tiring to these people. They don't understand that we keep talking about it not because we're trying to be cool, but because it's the right thing to do. The next time the wave comes around, some of these people will realize that and will stay for good. On the anti side there are a lot of people who are reasonable but whose personalities are anti-drug, and since they haven't thoroughly considered the issue or understood the impact of prohibition, they have never seen a reason to legalize and think it's all about being a hippie and getting high. When more of the now undecided are say legalize, that's when some of these people will finally start to seriously look into it and understand what it has been all about for so long. Then those people will become undecided, and start swinging back and forth, and every time, more of them will stay on our side, and so on and so forth. All the way on the other end of the anti side there are people who will never be in favor of legalization. They will lead the charge to re-criminalize after legalization takes over, and it's not necessarily impossible that they will win one once or twice, but in the long run i think legalization will win. Question is, will November 2012 be a moment when the wave will be 51% or more on our side? I think it will be. Prop 19 was in 72, and got about 35% with no provision for sales and taxation. Fast forward to 2010.. 46% vote for full legalization with sales and taxation. See the trend? About 10% of that is voting for the tax and control issue, not anybodys rights.. The major funders are making a huge mistake not supporting the effort in a Presidential election cycle.. They donated in the two year election when traditionally fewer people vote.. it gets 46% and they quit? This movement has always been its own worst enemy..
Why Can't We Get Our Act Together? IMNSHO, one of the big reasons pro-legalization initiatives fail, at least in Cali, is that there are always two or more of them put before the voters in any given election. If we in the the pro-legalization community could gather our forces together, put our egos and agendas aside, draft just one really good initiative, and then put all our collective energies and finances into getting it passed we'd stand a much greater chance of success. We need a laser to cut through the BS of prohibition, but all we seem to get every two years is a bunch of uncoordinated flashlights waving around in the darkness. The opposition doesn't really have to work that hard to defeat us under these circumstances - look at the last minute, far less expensive, media blitz from law enforcement, etc. that played a major role in defeating the 2010 initiatives. It would be interesting to find data on initiatives that have passed in previous elections, regardless of the subject matter. I'd be willing to bet that most of the ones that passed were the ones that didn't have competition in the ballot box from other similar initiatives. There has to be some good reason why we can't get a legalization initiative passed in a state where a year ago 56% of the population said they support it (http://elections.firedoglake.com/2010/04/22/56-of-californians-support-legalizing-marijuana-use/) when the question was not framed in the context of a specific initiative. Maybe its time we thought about this as a possible cause of that failure. Cannabis kills cancer! The Feds need to tell what they know!